As of December 2018 the TRY initiative has received more than 5000 proposals requesting data. Since Try version 3.0 was opened to the public, we receive about 3-5 data requests each day. 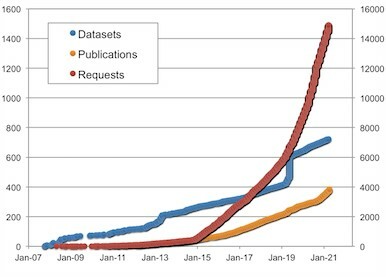 Note: Data contribution and Publication are related to the first axis, while the number of data requests relates to the second axis (on the right side).